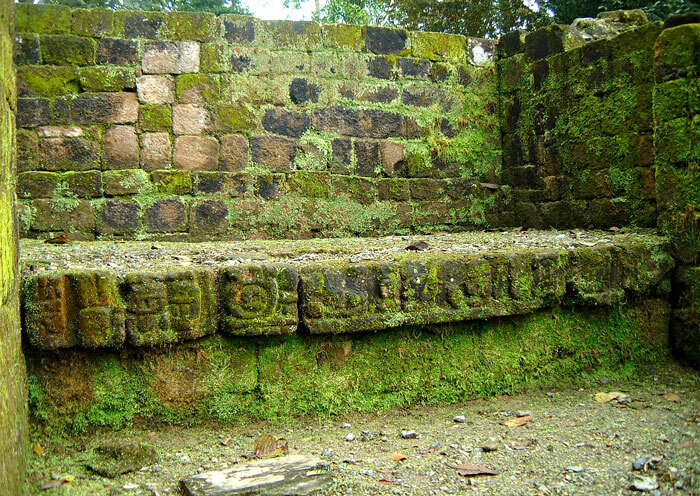 A step within the building known as Structure 1B-1 at Quirigua. These carved steps are found in each of the three rooms of the structure and are thought to have led onto rooms at the rear – though they may have been seats or altars. They also look like beds, but it is thought that the Maya chose not to sleep on beds and preferred to rest on animal skins laid directly on the ground (click here to read about The Acropolis).